Welcome to Tea Journey a little space on the web for those who wish to create a life inspired by tea. For us tea is a lifestyle not just a beverage. Together we are creating a positive life, balance, the calmness of tea and simplicity. Tea Journey started June 10th 2010, just days after graduating from OCAD U and the day I started to work at Teaopia. The four years prior I explored art while attending school for Drawing and Painting and slowly developed a taste for Asian Art. Not long after I was using sumi-e ink and drinking tea at the same time. Flash forward to today, Tea Journey has developed to what it is today a Tea Lifestyle blog. Previously being just a “journal” for my tea studies and findings. It has been a long road to get to here and I am sure future years will be just a fruitful. I can not wait to meet you! Before graduating from OCAD U in 2010, I became interested in tea and Eastern Cultures. Tea started out as something on the side that I enjoyed. This turned into a whole new way to express myself through ink. I began to use tea as an alternative paint and slowly shifted to include imagery of tea itself. After leaving OCAD U I taught staff as a manager at tea shops and began “Tea Journey” my blog. I became more involved in the tea community through the Tea Guild of Canada and began to practice Urasenke Style Chado (Japanese Tea Ceremony). Through a student of Soshitsusen, the Head Master of the style. 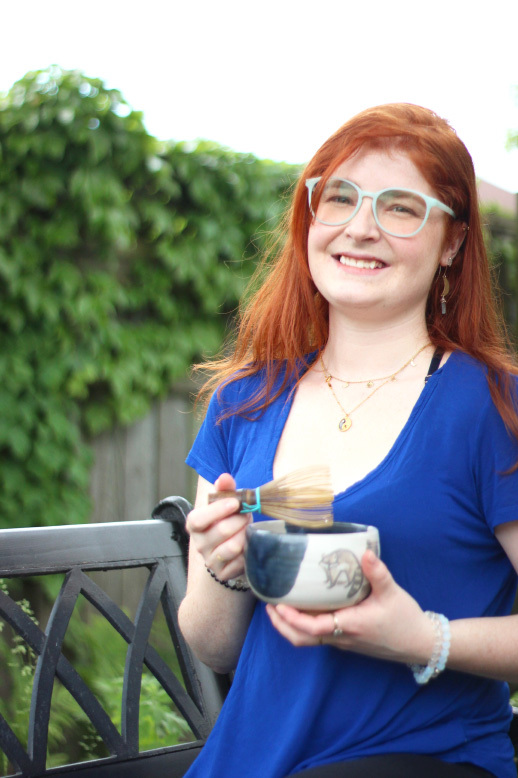 To learn about my new medium I went through the Tea Sommelier program at George Brown College and built up a complete understanding of tea. All of my work are licensed under Creative Commons. Which means I let others copy, distribute and/or display my copyrighted photos, but only if you give me credit (via, a link back to Tea Journey). You may not use my photographs for commercial purposes. When you use my photographs please credit me, Katherine Bellman, with a hyperlink back to the wonderful Tea Journey. All written content may not be used without expressed consent. Please contact me through the contact page to dicsuss.